Increasing pressure on our agricultural lands pose significant biological and ecosystem-level consequences to our lands and waters. But what about the bugs? Lesser known, but equally important, is the decrease in species that support vital agricultural functions such as crop pollination and pest suppression. 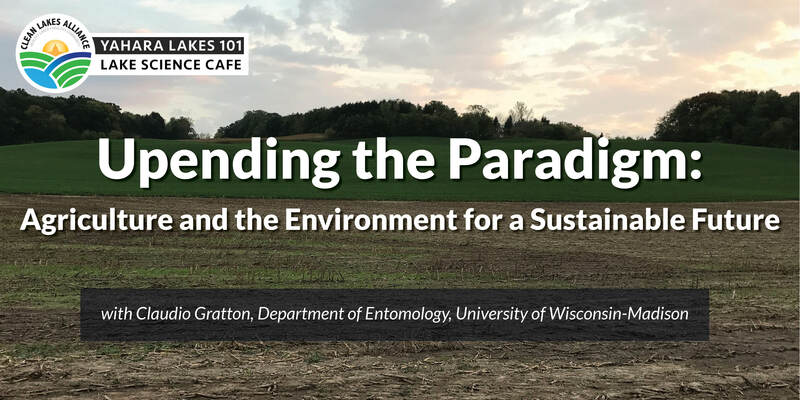 In this month’s Yahara Lakes 101 talk, UW-Madison entomologist, Claudio Gratton, will discuss how we can support agricultural needs while maintaining a multifunctional landscape that meets the diverse needs of our society, and crawling neighbors.